The Pizza Files: The Binge Part 12, unplanned bonus. 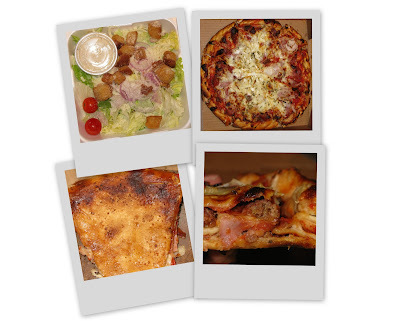 As your quest/binge is coming to a close... a few to check out - or should you get to Pennsylvania at some point... Sabatini's (their crust is amazing) and Victory Pig (deep fried pizza is an experience everyone should have once!). They are both in Wilkes-Barre/Scranton, and apparently you can get them at the grocery store now, but it's not the same... seeing as how you are from the St. Louis area - it would be like getting Lion's Choice or Ted Drewes at the grocery store. :) That's what happens when you live across the country - favorites in all locations! Good luck to you!